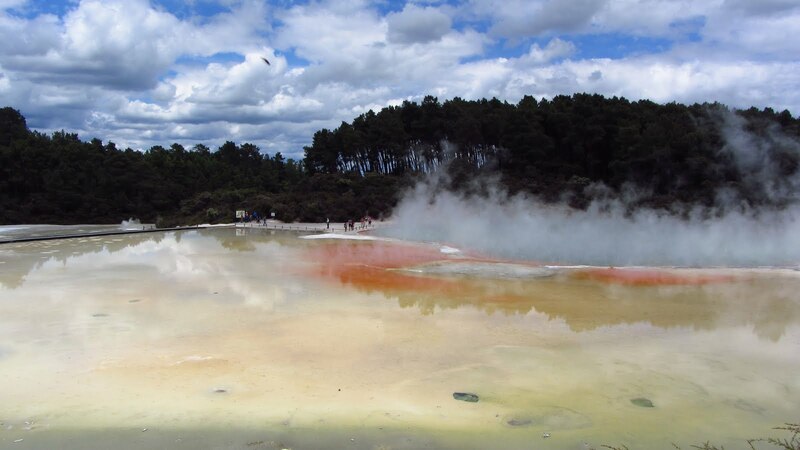 After exploring the spellbinding caves of Waitomo, and spending the first night of our grand New Zealand roadtrip freezing in our cheap tent, we packed up and started making our way towards the town of Rotorua. One of the wonderful things about having a car is the ability to make stops wherever we like. Along the way, we paid a visit to Kiwi House in Otorohanga to see the small nocturnal birds which New Zealanders name themselves after. We were ushered into a small, dimly-lit room, where we were able to see these cute little fat and flightless birds emerge for their daily feeding. Sadly, pictures were not allowed (the birds are very shy and sensitive to light). While they are a national symbol, Kiwi birds are one of the many endangered endemic fauna of New Zealand. Stoats, cats, and other introduced animals, along with habitat destrocution, threaten these funny little birds.